Royal Caribbean Vision of the Seas is the latest cruise ship to experience a norovirus outbreak.She returned to Port Everglades on Friday with over 100 suspected cases. 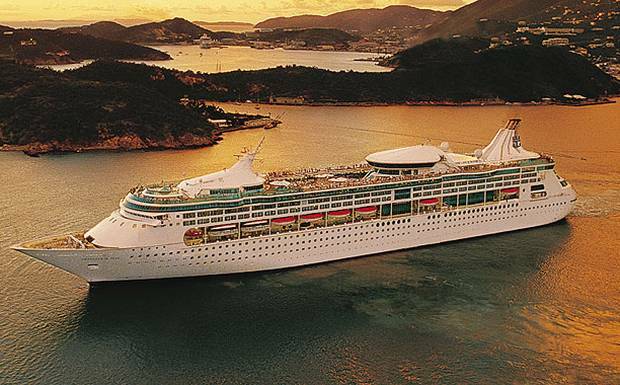 “Vision of the Seas experienced an elevated number of persons with a gastrointestinal illness on its last sailing,” Royal Caribbean International said in a statement. 105 of the 1,991 guests onboard the cruise and three of 772 crew members experienced the illness, officials said. Over-the-counter medication was administered onboard the ship. When the Vision of the Seas docked in Port Everglades, the company said it conducted an extensive sanitizing onboard the ship and within the cruise terminal, to help prevent any illness from affecting the subsequent sailing. “Guests received a letter at boarding that asks if they have experienced any gastrointestinal symptoms within the last three days,” Royal Caribbean officials said. I blogged not too long ago on this very subject, the article was Sick of Norovirus and I shall revert back to what I said then, please always wash your hands and use the alcohol gel provided! In most cases outbreaks like this are caused by the simplest of things i.e. people not washing their hands regularly.